I've been converting this guy from the reaper Clay golem by shaving off the nose and ears and greening up the chin stubble and quills. I like how he's turning out, but I'm dissappointed in the way the tartan pattern turned out. I'm adding a harpoon on a chain wrapped around his wrist as soon as I can find some small link chain again. The tribal tatoos were some of my first tatoo work, and I'm pretty happy with them. This is a most excellent conversion! A really great idea. Good transition 'twixt the belly and skin color too. 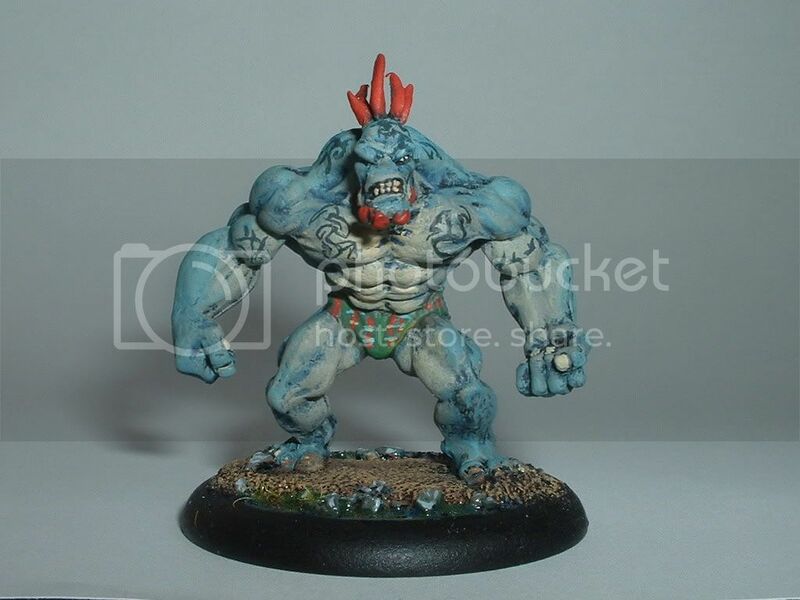 Nice conversion and tatoos. After seeing this, I'm thinking about doing something similar. wow, that actually turned out pretty darn sweet. He looks like something from Oddworld. In a good way. Like a macho Abe. Here here to the kilt. 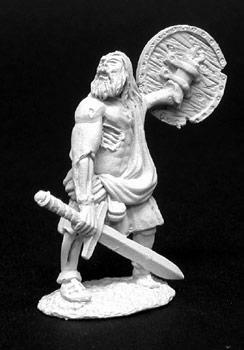 Possibly, you could sculpt a cloth more similar to those worn by the other Trollblood figs (the sash that ties around his waist and covers his loins). Overall, I think you've done a smashing job. 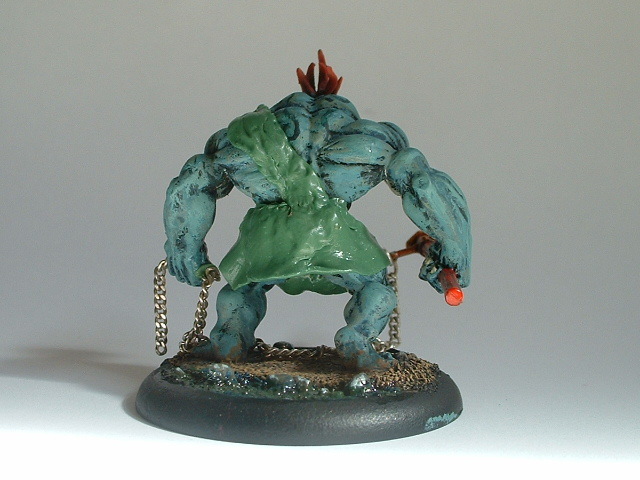 Finished greening the kilt and harpoon. 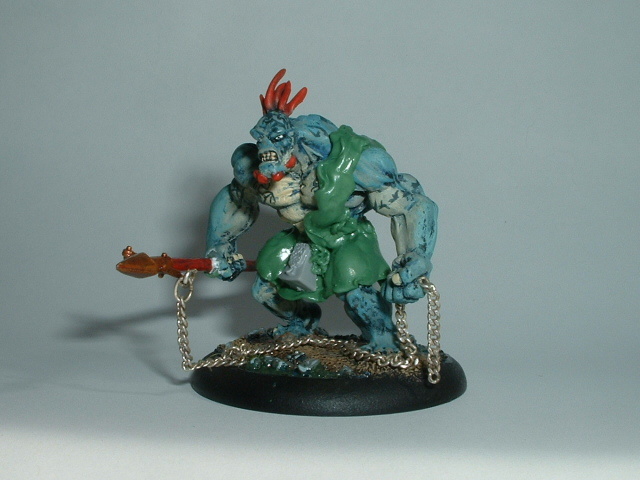 Well, he's finished, but I forgot to bring my camera to work at the gamestore with me. Pics on Saturday, facing off against the party from my campaign.